The purpose of this article is to inform the reader of the recent announcement that the China EB-5 category will, for the first time in the program’s history, become unavailable. 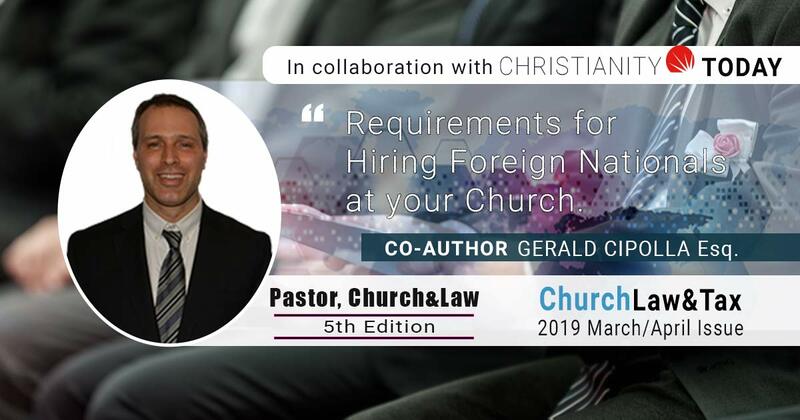 While those pending within the program should be processed at the beginning of the next fiscal year, this announcement poses problems for future China EB-5 applicants. It seems likely that, without intervention from congress, the China EB-5 program may become oversubscribed and may experience a visa retrogression. The EB-5 immigrant program allows for lawful permanent residence in the United States through qualifying investment and job creation. The program offers investors a conditional two-year green card with the opportunity, at the end of those 2 years, to apply for permanent lawful resident status. To qualify, investors must be able to invest $1,000,000 into a new commercial enterprise or into a Regional Center. Investors may invest $500,000, instead of the $1,000,000, into a Targeted Employment Area (TEA). On August 23, 2014 the China EB-5 category became unavailable for the remainder of the 2014 fiscal year. In the program’s 25 year history, this is the first time that the maximum number of visas available for China EB-5 applicants had been reached. A new allocation of 10,000 visas will be available for the new fiscal year (October 1, 2014) and should not impact most pending China EB-5 applicants. This oversubscription, at the moment, does not represent a visa retrogression as a cut-off date has not been established. However, it is anticipated that new China filings will be substantially impacted. It is important to note that this current oversubscription does not designate a visa retrogression. Visa retrogression occurs when, after a cut-off date has been established, the level of demand within that date is reached and the number of visas available for the next month will be exceeded. Thus, the cut-off date is pushed earlier than the current one. For example: if a cut-off date is set for January 1, 2012 but the number of visas for that month is exceeded, than the date would be pushed earlier to July 1 2011. This is not currently the case in the China EB-5. The allotment of 10,000 visas will be reset in the next fiscal year but, currently, visas are not being awarded for the rest of this fiscal year. As mentioned above, the Department of State has indicated that there will likely be retrogression for China EB-5 by as early as May, 2015. The concern, following this announcement, is likely not for current pending EB-5 Chinese applicants, but future applicants and the possibility of a China EB-5 visa retrogression. This current “unavailable” status indicates a rising demand for EB-5 visas, which has increased 700% since 2007 (Source: AILA Liaison, Practice Alert: China EB-5, “Unavailable” for remainder of FY2014). Determining when the cut-off date will be established is nearly impossible although some estimates place it as early as May 2015. The concern is that if visa retrogression occurs then once cut-off date is set the backlog and priority dates would not move forward every month. The wait time for the China EB-5 is likely to substantially increase if that takes place. Longer wait times would certainly create issues for Chinese EB5 investors; an example is demonstrating a strong business plan for the applicant result in either finding someone else to run the business or finding another non-immigration strategy. Other problems may include age out derivatives. Children of investors may encounter difficulties with longer wait times as a child’s age does not become frozen (that it, set as the individual’s current age, minus the time it took for their I 526 application to be processed). It is important to note that the risk of retrogression is currently only applicable to Chinese EB5 investors and not EB5 investors from other parts of the world. The aforementioned problems may discourage foreign investment through the EB-5 program. Increasing either the overall quota of EB-5 category or increasing the cap of China EB-5 visas would certainly prove to be beneficial to the US economy. One way to do this would be for Congress to remove family members (spouses and children) from being included in the 10,000 visa quota totals. These suggested changes to the EB-5 program would generate at least 100,000 new jobs and likely more than 5 billion dollars in foreign investment. That totals nearly a month’s worth of job creation compared to the national average for the country as a whole. For example, the average monthly level of job creation in 2012 was 168.5, according to the Department of Labor. With this influx of new jobs into the market, one would also reasonably expect spending connected with the migration of investors and their families, along with the spending of the newly employed as a result of the foreign investment. Increasing the cap totals could add an additional 5% of the jobs to the US economy. The financial benefits that would be associated with increasing the EB-5 cap would be a simple way for Congress to improve on a borderline weak economy and job market. In short, the current oversubscription to the China EB-5 ought not to be much of a concern for current applicants, unless they are scheduled for a “comeback” interview or for individuals trying to apply for this current fiscal year. Issues arise, however, for future Chinese applicants especially after a cut-off date is set by the department of state. If a cut-off date is established, a visa retrogression would seem imminent, especially with recent increased demand for China EB-5. The benefits the program can provide to the United States economy should be reason enough for Congress to increase the cap total. That goal could be most efficiently accomplished by removing family members from the EB-5 quota totals and allow 10,000 worldwide EB5 investments.